As well as classes, I’m speaking at a couple of Guilds this year, please see below for full details. Use up your scraps and learn three different basting methods and two different stitches for EPP. Slow down your stitching and try piecework the way our great-grandmothers did! Learn my turned edge machine applique technique from start to finish. 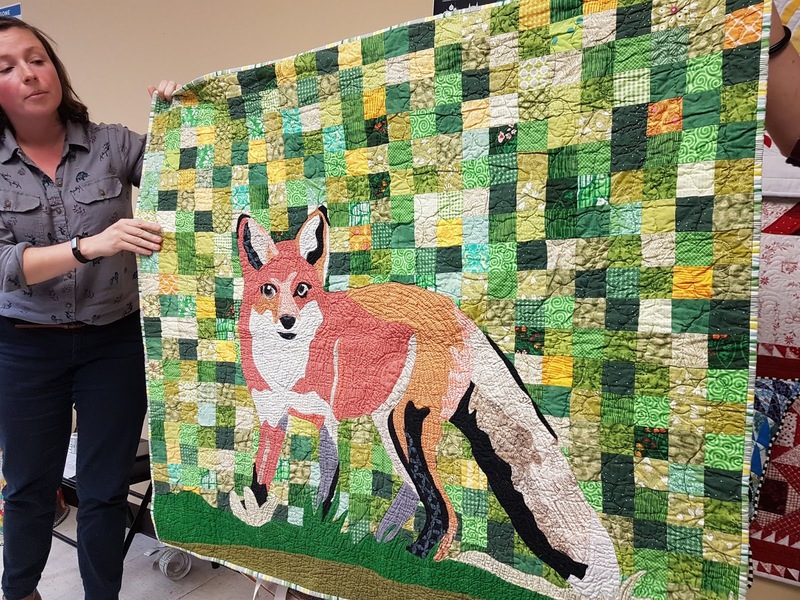 You will learn how to pick the right fabrics for the project, the no-sew piecing method and how to quilt the fox on your own machine. Whitetail Stag – patterns for doe and fawn also provided! Learn my turned edge machine applique technique from start to finish. You will learn how to pick the right fabrics for the project, the no-sew piecing method and how to quilt the deer on your own machine. Bring a lunch! Learn Y-Seams and build on your paper piecing skills – for intermediate quilters.